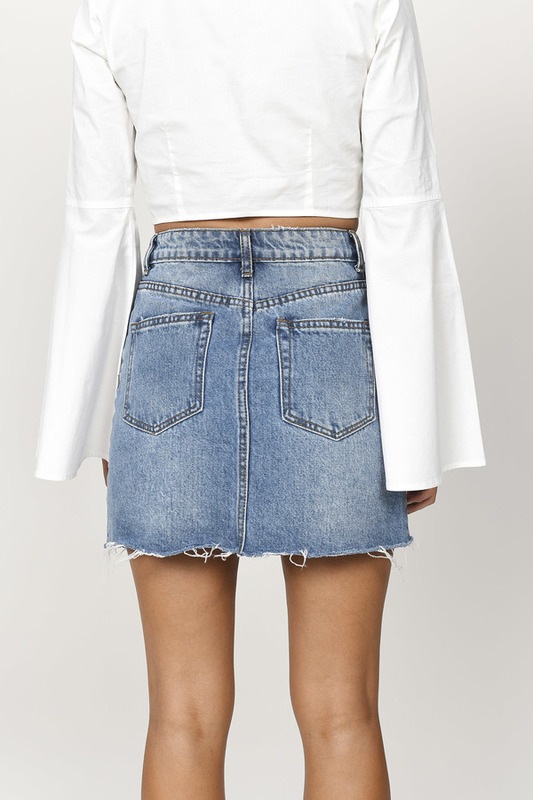 Check out Tobi's Ravenna High Rise Skirt Looking for the perfect denim skirt? Look no further! The Ravenna High Rise Skirt features a classic silhouette with a front v-cut at the hem, a five pocket cut, and a frayed hem. 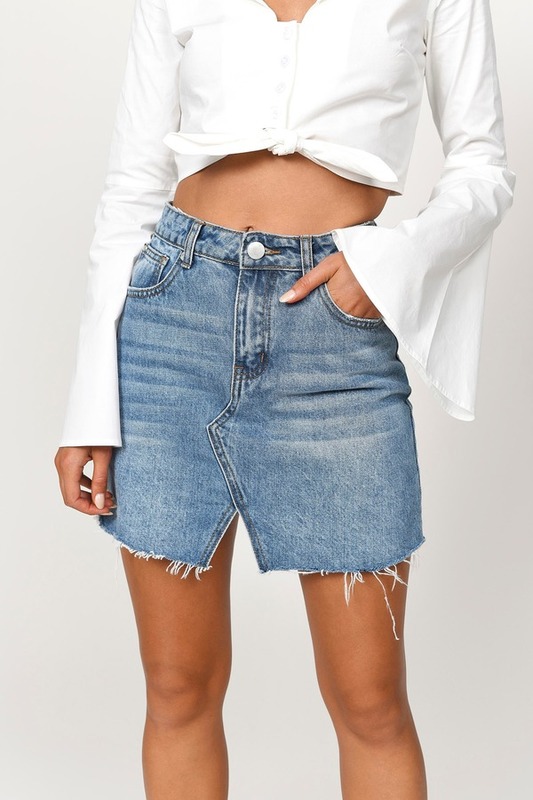 Looking for the perfect denim skirt? Look no further! The Ravenna High Rise Skirt features a classic silhouette with a front v-cut at the hem, a five pocket cut, and a frayed hem. Light Wash modeled on a size 25.